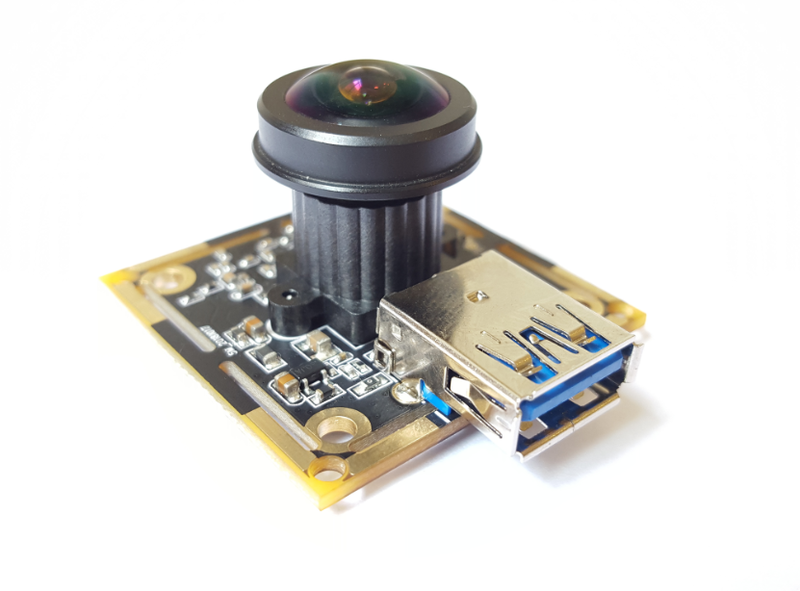 This is our new development camera module, it is 5MP resolution with Micron MI5100 CMOS image sensor, quality image is very high and stable. 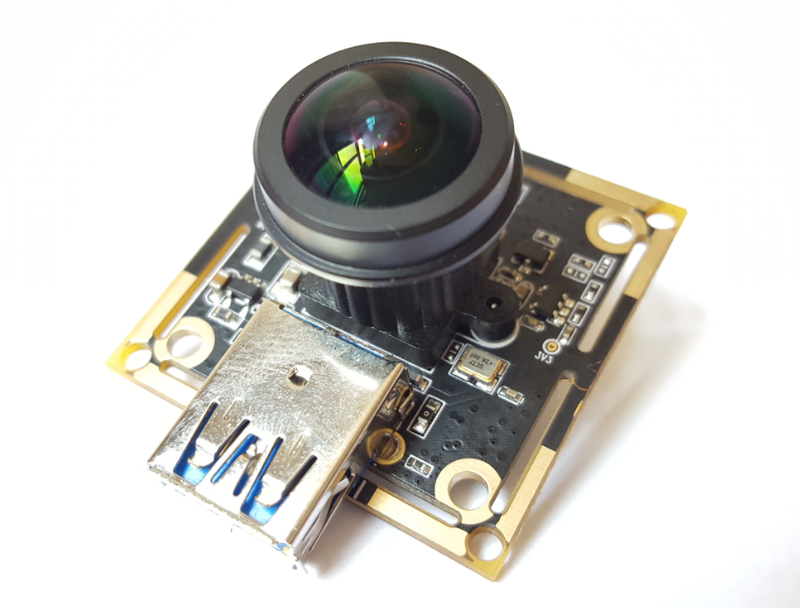 This module is USB 3.0 interface, and compatible with USB 2.0, when you use USB3.0, it only supports YUY2 compression format; when you use USB2.0, it only supports MJPG compression format. 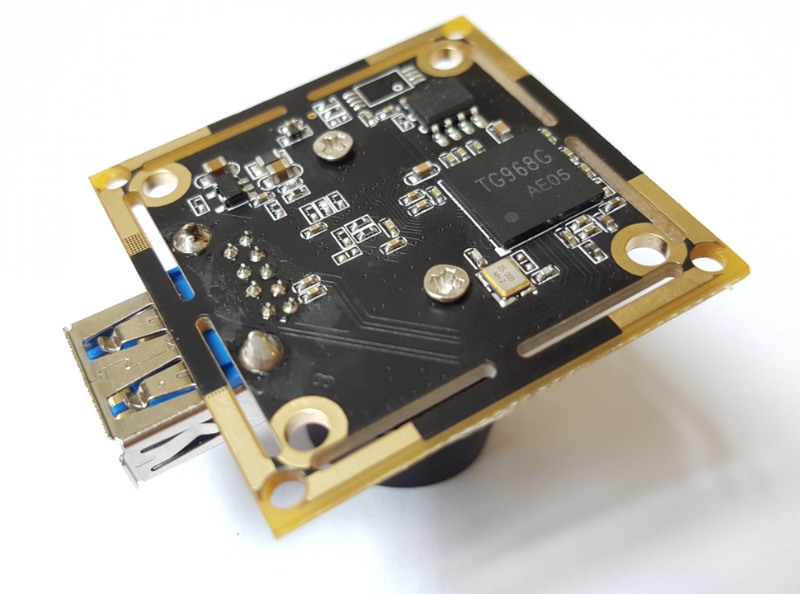 The current module size is 38MM*38MM (compatible with 32MM*32MM), after your testing we can adjust module size & shape according to your requirement, it will require some engineering and development cost. 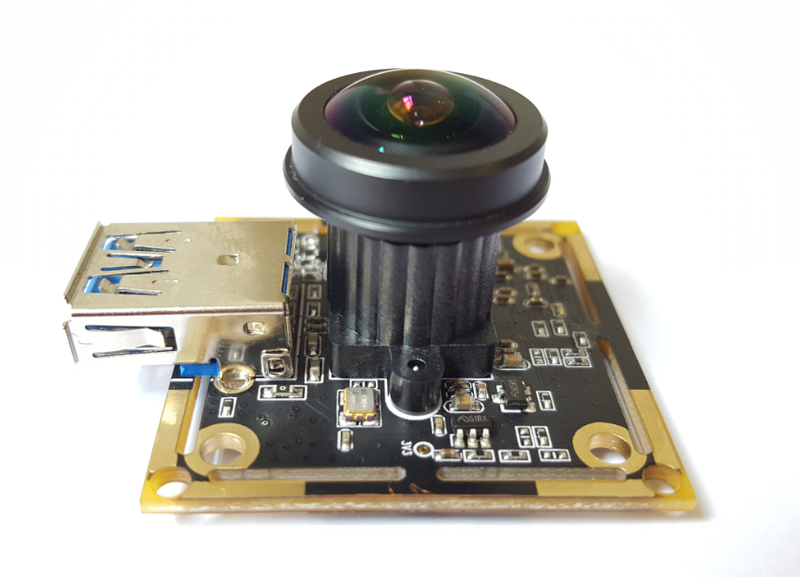 The current lens is top quality 200° FOV fisheye lens, and we can also change as per your needs, with focal length from 2.8mm to 16mm, and FOV from 40° to 200°.